Samuel joined Watsi on September 19th, 2016. Two years ago, Samuel became the 2314th member to automatically support a new Watsi patient every month. Since then, 2,778 more people have become monthly donors! Samuel's most recent donation supported Kaung, a toddler from Thailand, to fund eye surgery. Samuel has funded healthcare for 32 patients in 11 countries. Idi is a student from Tanzania. He is the youngest in a family of eight children. His best subjects are science and Swahili. He loves playing soccer with his friends. Idi has been diagnosed with acquired left genu valgus. Early last year, his parents noticed their son’s left leg was weakening and bending inwards. This condition is typically caused by an excessive accumulation of fluoride in the bones, which often stems from contaminated drinking water. Our medical partner, African Mission Healthcare, is requesting $940 to fund corrective surgery for Idi. The procedure is scheduled to take place on November 2. 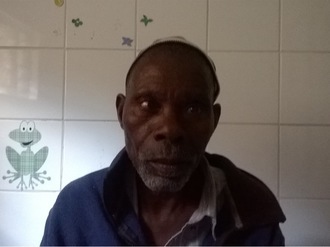 Treatment will hopefully restore Idi's mobility, allow him to participate in a variety of activities, and greatly decrease his risk of future complications. Idi’s sister says, “My parents are not able to afford the surgery cost and my brother's condition keeps worsening. Please help him." Kimleang is a high school student from Cambodia. She is an only child. She is in the tenth grade and enjoys studying mathematics. She wants to be an accountant. Kimleang has strabismus in her right eye. Strabismus is a misalignment of the eye caused by injury or dysfunction in the associated nerves and muscles. It is difficult for her to see clearly. 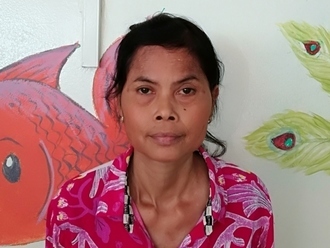 Kimleang traveled to our medical partner's care center to receive treatment. On April 24, surgeons at our medical partner, Children's Surgical Centre (CSC), will perform a corrective procedure to align her eyes. 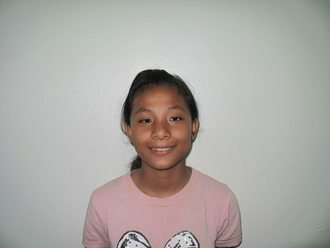 Now, Kimleang needs help to raise $292 to fund this procedure. She says, "I am looking forward to going home and spending time with my friends."